About: A City Without Guns, 2015 - Ongoing is a series that emerged from a combination of my high-anxiety around the public health crisis of guns in America, daily dog walks, a sense of magical realism, and the curatorial eyes of Susanne Slavick. 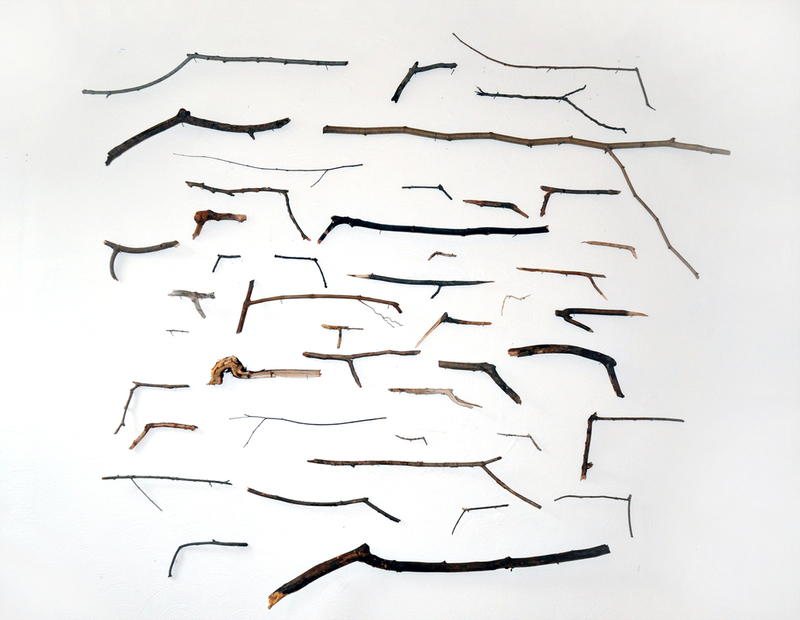 In 2013-2014 I started picking up every stick that looked like a gun as a way to play with the idea that by meditating on this object and shape in my hand, an actual gun in someone else's actual hand somewhere in America at precisely that same moment might, somehow, turn into wood, rendered non-lethal. A sizable collection began to accumulate on my studio wall and Susanne noticed it when I posted it to Facebook. She approached me about including it in Unloaded, a group show, which was a great chance to formalize the work and have it be seen by a wider audience. The work is made as an edition of five, with the first collection of nearly 45 guns touring the US with Unloaded. Each edition is unique, with a variable number of guns that are mounted directly to the wall. The editions of this work have had many lives on tour with various exhibitions and venues across the country and now in Switzerland.